Credit cards are not evil, they do have immense power to cause harm and financial distress to people however, they also can do a lot of good and add a lot of value in people’s lives. The difference between crippling debt and lucrative rewards can be summed up in one word: Responsibility. Using a credit card in a responsible manner opens up your world to many opportunities and less stress. Make sure to read about the benefits of using a credit card as well, but this post should probably be read first. If you don’t trust your self to be responsible with a credit card then please for the love of god do not get one! Be Responsible – The first rule before you apply for and start using credit cards is to use it responsibly. Make sure you always remember that it’s NOT cash but instead it’s a loan. If you keep this in mind then you will be fine, however if you ever start thinking of it as cash then you will be in some serious debt and financial hardships in no time. If you cant trust yourself to use them responsibly then DO NOT GET A CREDIT CARD! Don’t Treat it as a Loan – I’m not trying to sound too confusing, but don’t treat a credit card as a loan to buy everything you ever wanted with it. 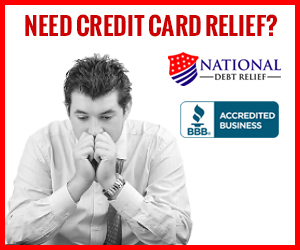 I know a lot of people who get a credit card and they get say, a $5,000 line of credit and immediately think that they have $5,000 more dollars they need to spend. This type of thinking will get you overhead ASAP! Instead think of the credit card as an extension of your bank account. If you have $4,000 in your bank account and $5,000 in credit line, don’t just go buy a $5,000 TV with it, use the card for normal purchases and save up like you normally would; then go buy the TV after you have saved up the money for it. Pay it off in full, do not make the monthly Minimum– Paying the minimum payment is a terrible waste of money. In fact, if your APR is over 24% then the minimum payment will not even cover the interest being charged to you. No matter what, do not miss a payment! Missing or being late on even one payment gets you a penalty APR and will hurt your credit score significantly. If you run into an issue I would say it’s better to eat a bank overdraft fee than it is to miss one credit card payment. One missed payment will cost you far more than $35 ish in the long run. Never put something on a Credit Card now, assuming you can pay it off later – This is a big one, and it does back to the point of using a credit card as an extension of your bank account. I see this a lot though, say you want to buy a piano or something. You rationalize this because you had a great interview at a higher paying job and you are sure you got it. So you want to treat yourself to something nice. This puts you in a very risky spot, never use a credit card to buy something now and assume that in a few months you would be able to afford it! It’s very possible this job offer goes away, or maybe you get hurt or a million other scenarios. But the only thing that remains constant is the fact that you now owe a lot of money on the piano. Credit cards have a lot of great uses, however they use these to trap people into a spiral of debt. Having a lot of credit card debt is like downing, it’s a terrible feeling. So if you want to use credit cards to get these nice benefits make sure to follow those tips, be smart with it and you will be just fine, but start using them poorly and things can get back pretty quickly. If you think of other helpful tips that I missed make sure to let me know!